I can't believe the blog hasn't been updated in months! The wonderfully busy summer came to an end and soon I'll be posting up all the weddings that took place. 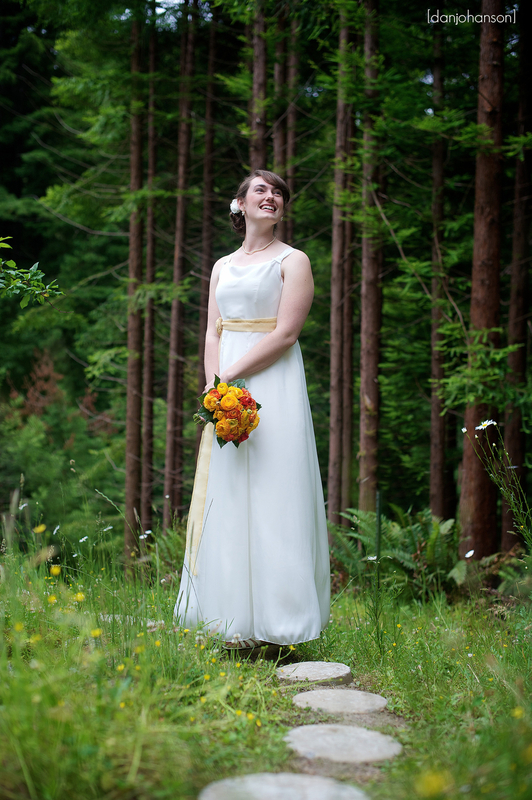 I'm at least 12 weddings behind on the blog and October is completely full too! What's more, we just had our 2nd baby a full seven weeks before her due date and both mommy and daddy are relearning how to take care of our new bundle of joy. After 15 days in the NICU we finally got her home last night. Without a doubt, simple backyard weddings are always a truly fun celebration of a couple's love, and this one was no exception. But what made the day extra special for me was knowing a good number of people attending this wedding. I go to the same church as Peter's family and good friends. Peter's dad was my Sunday school teacher way back when I was in high school. The weather in the northwest part of California can be unpredictable, but by God's grace it turned out to be a gorgeous warm day surrounded by wildflowers and coastal redwood trees. Peter and Gina's closest friends from college as well as family from the Bay Area pitched in together to set the stage for these two to make solemn vows to one another. All the best to you Peter and Gina and thank you for making me a part of your big day! 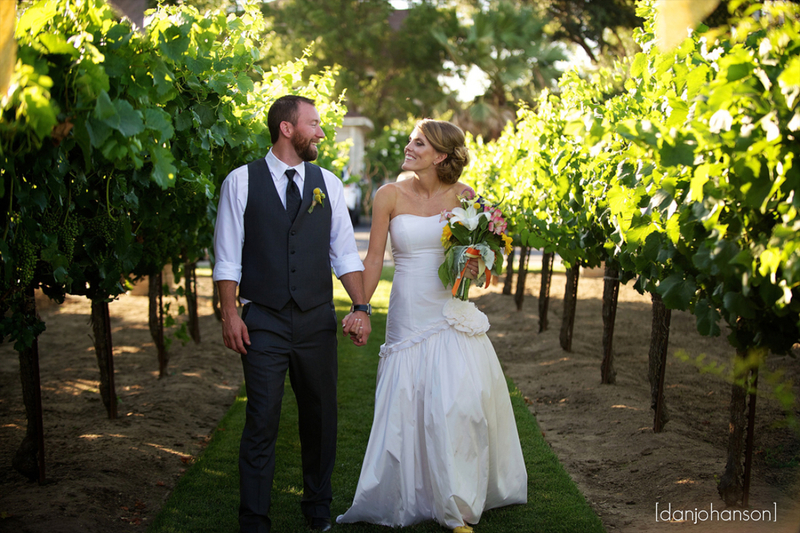 Scribner Bend Vineyard Wedding: Aaron and Lauren! Good old fashion word of mouth is how I was lucky enough to meet Aaron and Lauren, who got married last Saturday at the charming Scribner Bend Vineyard near Sacramento. 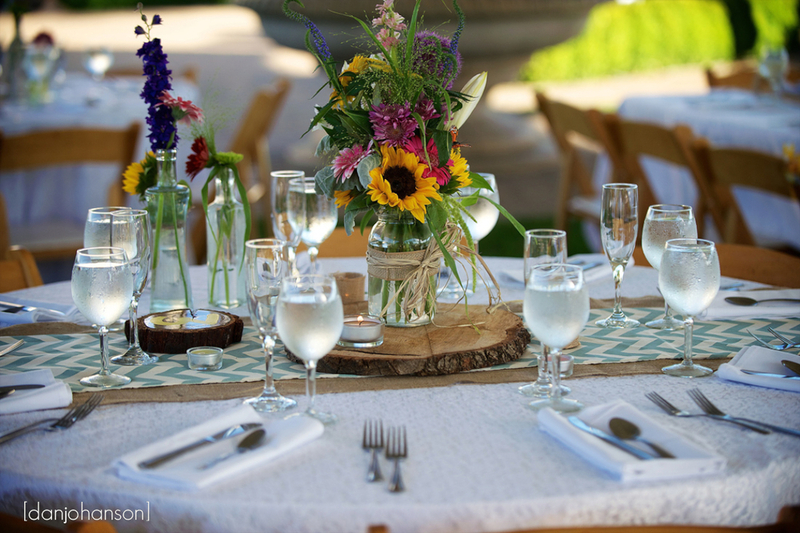 Their wedding was a country affair, with cowboy hats, boots and of course some really yummy BBQ. But all of that was just a backdrop of a really beautiful union between a really sweet couple. Their story Lauren and Aaron's story is like a bad made for TV movie: Two elementary school teachers who met years ago and never gave each other a second thought, suddenly found themselves both single, and teaching at the same tiny school. Not only were they at the same school, but Lauren taught 5th grade, and Aaron taught 6h, so you can imagine the excitement buzzing around the little campus when they publically announced that they were dating at the beginning of the 2010-2011 school year. Once the initial excitement died down, the relationship continued to progress until April 4th 2012, when Aaron asked Lauren to make an honest man out of him at the top of the Martis Camp Express chairlift at Northstar Ski Resort. It was very romantic with the sideways snow landing in their hot dogs, and the slightly soggy potato chips, so of course Lauren said yes. For the rest of the day, she called a different friend on the phone each time they got on a lift to fill them in on the big news. 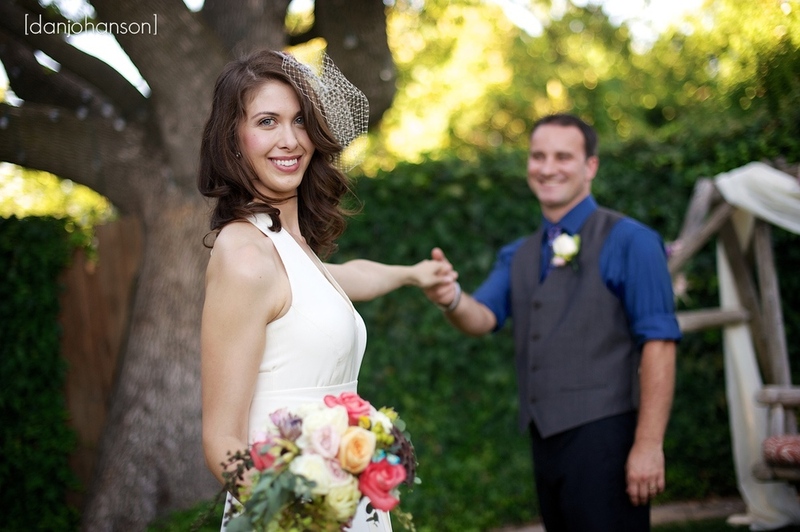 And for more highlights from this amazing wedding check out the slideshow! Blackhawk Country Club Wedding: Nate and Annie! In just the last few days Annie and I wrapped up their wedding album, which is getting printed as I type this! I can't wait to get it into their hands because I know they'll just love it. Now that we've got that out of the way, I have time to post just a few of their many favorites from their wedding out at Blackhawk Country club last year. Thank you Nate and Annie for the fun engagement session in San Diego and the privilege of capturing your beautiful day in Danville! Engaged: Lee and Jessica... it all started in 7th grade! 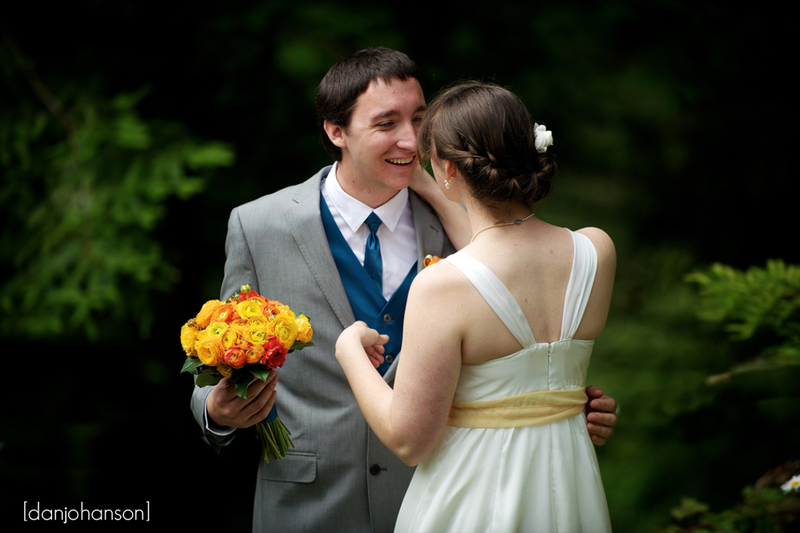 One of the benefits of being a wedding photographer is hearing all the great love stories. This one is special because it started when they were in the 7th grade. How many middle school relationships end in marriage? Their amazing story, in their own words: "Jessica was the tallest, blondest, prettiest girl at Sequoia Middle School." Lee says. "I was four-foot-six in 7th grade, and Jessica seemed to stand two full feet over me. But I didn't care. I was in love." He continues, "I walked her home from school. Sometimes I held her hand. We went to movies. I took her to the Spring dance. I remember we had to dance at 'elbows length apart' most of the time, but during the final dance I pulled her close. She could rest her head completely on top of mine. It was magic." Scroll to the bottom to here her side of this sweet story. Her side of things was just as sweet. "I still can't believe that the man I'm going to marry is the boy that took me to the spring dance in 7th grade." Jessica says, "He even wore a suit to the dance. All the other boys were wearing the typical baggy pants and big t-shirts, but not my Lee. He has always been very classy, even as a 12 year old boy! He was also my first boyfriend. I was extremely shy and timid in middle school. I was a scrawny, tall, gangly girl, and I often got teased for these things. Lee somehow saw me as gorgeous. Still to this day he says he thought I was just so pretty!" She continues, "As many young romances go, we parted ways around the end of 7th grade. Little did we know, that wasn't the end of our story. We kept in touch on and off over the years; we even dated again for a while in 2008. It seems we couldn't stay away for too long. In September of 2011, the time was finally right. After a wonderful year together, Lee proposed in Hawaii on September 2, 2012. He said he just couldn't wait any longer. We are so excited to spend the rest of our lives together! I believe some things are just meant to be, and I am definitely meant to be with Lee. He is the funniest man I've ever met. We laugh together every day. He knows how to make me feel better when I'm down. I feel so lucky I get to spend even a minute with him, let alone the rest of my life! I couldn't be happier that I get to marry my best friend." Well if that's not the sweetest love story that started in the 7th grade I don't know what could possibly top it. Thanks guys for the wonderful engagement shoot and I'm totally excited to photograph the wedding! Best of 2012 San Francisco City Hall Weddings! It's not so extraordinary that people travel to San Francisco or Napa to have their destination wedding. We do have some pretty incredible venues no doubt. But this year I was amazed to have clients, from as far away as Singapore, to photography their ceremony at San Francisco City Hall. And not just one international couple, but several -- couples from China, Japan and Guatemala! 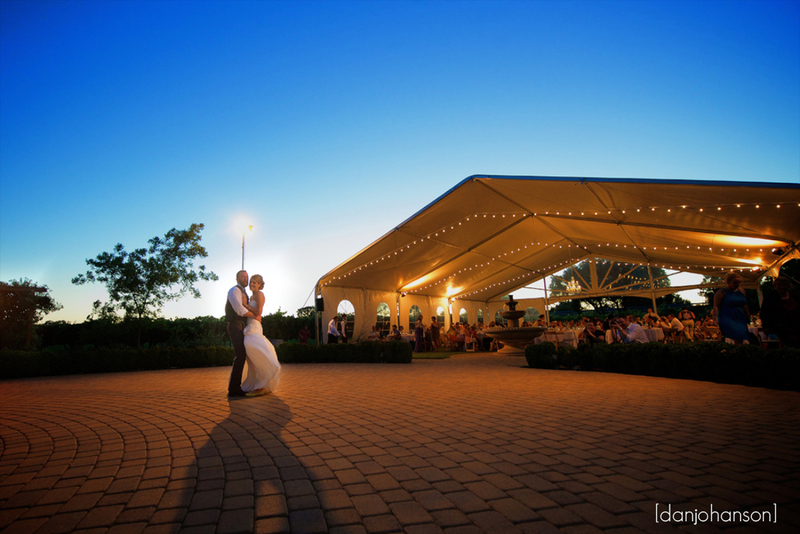 2-hour packages start at just $500 and always include a second location of the couple's choosing. If you're a couple who's found this page and are interested in booking your date, head over to the main wedding website and contact Dan to get all the package options and prices. Here's some of the 2012 highlights! Engagement shoots are always really fun, especially ones that involve wine and trespassing. And ones where we get in trouble are always the best. Aaron and Lauren were game for all of it, and while we didn't get arrested, we did get kicked off of private property twice. It could only have worked out better if we got kicked out of all the places we visited -- oh well. We started off at the Ruby Hill Winery in Pleasanton for some tasting and a few warm-up photos. We weren't suppose to walk through the vineyard, but nobody seemed to care. From there we drove over to the Mitchell Katz Winery, whose staff DID care a great deal that we took a photo in front of their building. We left immediately, but didn't really appreciate the snooty nature of the women who kept an eye on us until we drove away. No matter - we were off the old barn with the American flag on Vasco Road, which is behind barbed wire and off limits to the public. Exactly the sort of place we wanted for some rustic engagement portraits. Just as we wrapped up though, we were caught by a park ranger who was quite nice about making sure we left right away. Our last location was west of Brentwood on a pretty field just before sunset. A perfect ending to a really fun day with a really great couple. Aaron and Lauren I'm really looking forward to your wedding next year! And it will be so fun to see Corey and Michelle! For readers of this blog, they are the fun couple that referred me to Aaron and Lauren... and the couple that graces the top banner of this blog! Sadek and Carmen grew up here in the U.S., but come from families that immigrated here many years ago. On a warm, cloudless day in the hills above San Jose, their different cultures united to make a beautiful and unique celebration of their love. What made it special for me was hearing the different languages -- one minute Carmen's grandma is holding my arm and speaking to me in Portuguese in the most endearing way (I smile and nod, giving the impression that I understand her - we have several more "conversations" like this)... then I turn around and hear another warm exchange of affection between relatives in Arabic. Toward the end of the evening, everyone seemed to know Korean as they got downright silly dancing and singing along with PSY - you know the song I'm talking about. The venue for their wedding and reception was at the Bella Montagna, a hillside estate that overlooks San Jose and the entire south bay. Marcia coordinates weddings for this place with amazing efficiency and kept the day moving beautifully, despite the inevitable hiccups. Thanks Marcia for the great communication both before the wedding and on the day itself -- I don't know how you do it all! Thanks Carmen and Sadek for allowing me the privilege of capturing your big day - Parabéns and تهنئة ! And lastly, the highlight slideshow! These two pulled off something amazing for their wedding at Santana Row's Valencia Hotel in San Jose. You see, Kiki's from New Orleans and wanted a 2nd Line - google it like I did (also pictured in the last two photos). John's a trained musician and played in a Latin rock band back in Houston, where he met Kiki. Somehow they brought together both of these musical flavors in San Jose--a brass band and a latin rock band--for one amazing reception at the Cielo rooftop. Before the party, there was a wedding of course. Kiki and her entourage got their hair done up at drybar. It's a very convenient place if you're getting married at the Valencia or anywhere around the Santana Row area. John of course got ready in the bathroom of his hotel room, also a convenient location I must say. At the Valencia's courtyard, they ceremony was small and intimate. It's always a special moment to capture a groom holding back tears when he sees his bride walking down the aisle. John held it together pretty well though, that is until it came time to give his vows. When I captured him holding his hand over his chest, it was a moment that got us all choked up. It's a beautiful thing to see such an emotional and genuine pledge of undying love for another, and luckily I could hide my misty eyes behind the camera quite nicely. Check out their wedding website and highlight slideshow here. Thanks John and Kiki for having us capture your really fun day -- looking forward to the upcoming post-wedding portrait session! I first met Michelle and Corey to talk about their wedding on St. Patricks day at a Brewhouse at 7pm. What was I thinking? It was a complete madhouse and we found a quieter spot that still served beers. I have to say while it's nice to meet clients for coffee, beer is way better! I'm definitely going to offer that option to folks in the future. They had in mind to have their engagement shoot in the beautiful wine country just north of Napa in a little town called Healdsburg. They know all the wineries up there and knew exactly which ones have the best photographic possibilities. Little did I know exactly how jaw-dropping beautiful these places were -- especially the Jordan Winery just north of town. You'd think you drove up to a centuries Tuscan old winery when you see this place for the first time. We took a guess that to get married here you'll drop around at least a $100K, but apparently they don't mind if you sneak in and do some engagement portraits at the west end of the building. It was raining off and on which actually helped out in a way -- the ground was all wet and provided a shiny look. The clouds offered a nice diffusion of the big light in sky and surprisingly we weren't kicked off the property. We were off to Hawkes Winery and later White Oak Vineyards, both places where Michelle and Corey have memberships. This was really helpful and allowed us to sort of go wherever we wanted to take pictures. There's a "Save the Date" video coming out of their engagement very soon, but because I know they're anxious to see some of the better shots here you go Corey and Michelle! Thanks for planning such an awesome day! I've gotten to work with some really sweet people doing wedding photography and I love it when these clients become friends and refer me to more sweet, friendly people. I don't mind the clients that just want great wedding photos... I work my rear off for them too. But it's such a pleasure to work with the ones that go just a little out of their way to appreciate the effort I make at delivering tons of great photos from their big day. There's no bigger compliment (and source of encouragement) than when a bride refers me to another bride-to-be. That's how I met Sarah, who found me through Vicki, her hair sylist at pHyxx Salon in Walnut Creek. Pat and Sarah both attended Saint Mary's College in Moraga, which gives its alumni the privilege of using it's chapel for wedding ceremonies. This alone might be why we'll send our children there someday, according to my wife. Despite the alumni-only requirement, the chapel books up constantly a year in advance and they'll do 3 weddings on a typical Saturday. The campus, the spanish-style church and flowered courtyards are made for perfect wedding photographs, and it certainly made our job a breeze. The other thing Pat and Sarah did at Vicki's recommendation was to use Positino in Lafayette for their reception. This place is full of great character and charm and did not disappoint. Now a word about Pat and Sarah themselves. They are not on Facebook and really value their privacy... not that I would go on and on here about their personal lives...I just admire them for bucking the trend and keeping things real in their lives. How I wish I could do the same but alas wedding photography is all about online social marketing these days and sadly, less about serving clients well and getting awesome referrals like Pat and Sarah. But I digress... Pat and Sarah, it was a great pleasure to document your big day and I totally love you guys! And the highlight slideshow (click play below) has many more photos from Pat and Sarah's wonderful day.